Cherry Mobile Philippines surprises us with their yearly sale in bigger and more affordable offer of our favourite Android smartphones, tablets and other gadgets. 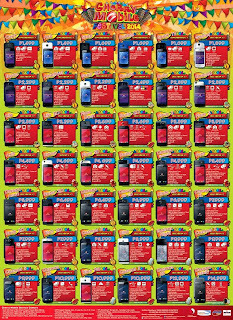 Starting April 13, 2014 up to June 15, 2014, you can enjoy discounts, freebies, sale price, hot new phones and prizes with this year’s Cherry Mobile Festival Sale 2014. Aside from marked down prices up to 50% discount, you can also join the fun and get a chance to win freebies and promo offers. In this event you’ll also get a chance to know their latest available smartphone or even get a chance to score a hands-on and personal review of this fresh from the box units. 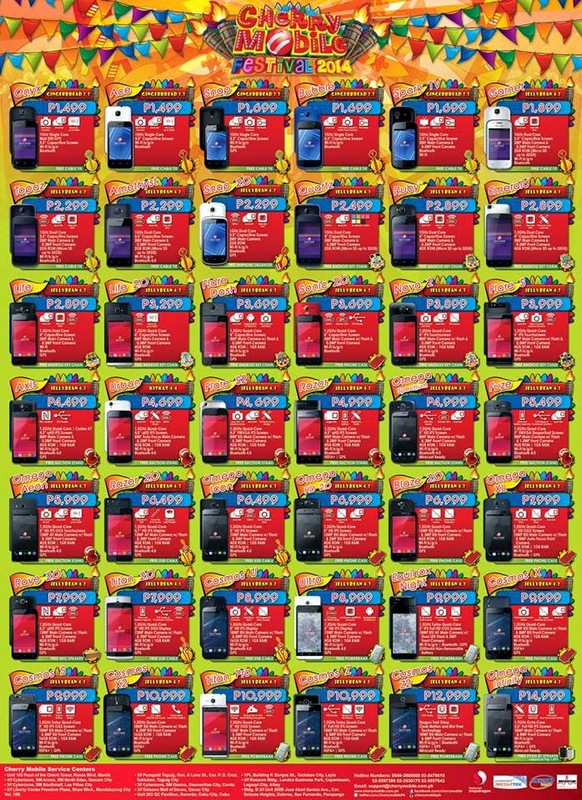 From basic phone with the price range of 500 to 1000 pesos, all of them come with a discounted amount. You can also check out their available Android phone from dual core, quad core and even octa-core phones plus their latest Kitkat OS powered smartphones. To keep you more excited with this sale, we’ll be listing few new Android phones of Cherry Mobile that is set to be available on this Festival ‘Fiesta’ Sale. After we heard the word Infinity from MyPhone, Cherry Mobile has also named their newest octa core phone with ‘Infinity’. Set with almost infinite features of a smartphone, Omega Infinity is powered by 1.7GHz Octa Core processor with 2GB of RAM. This Android phone is also Miracast ready that mirrors you phone screen to another Miracast ready device. Kindly see price quick specifications below. Equinox Night is an affordable quad core phone on its newest turbo variant that runs on Jellybean OS at below 10,000 pesos. Still in full HD screen resolution that features OGS and IPS display in a 5-incher screen size. Cosmos U is 5.0 incher quad core phone with HD display support and still features IPS plus the Dragontrail Glass scratch resistant feature. It has 16GB ROM for larger storage of apps, games and other files without using external memory card. Omega Icon is a quad core Android phone with dual SIM features and HSPA+ capability for faster network internet browsing. Offer good camera on the price of 6500 pesos plus this runs on updated Jellybean OS 4.3. The Razor 2.0 is newest addition on their Razor series which mainly features thin form factor and light weight type of smartphone. Those were just few of the interesting and hot Android phone available on this sale. For more details will you can take a look on the attached image from Cherry Mobile promo flyer to see the prices and full specifications. Meanwhile we’ll be listing some of few interesting phones that may fit your tight budget. Kindly refer below models for your reference. Flare S2 is another additional quad core Android phone on Flare series, this time it features Sony IMX 179 sensor on its camera and a new look in terms of physical design. Axis is another affordable Android phone that features NFC and OTG support. With your 4,500 pesos you can have a phone that gives pro features. At the budget of 4000 pesos below you can still own a quad core phone that come with decent specs and features. Cherry Mobile Nova 2 is one of your choices on that budget range; it comes with updated Jellybean 4.3 OS, 8 megapixels rear camera and a quad core processor.